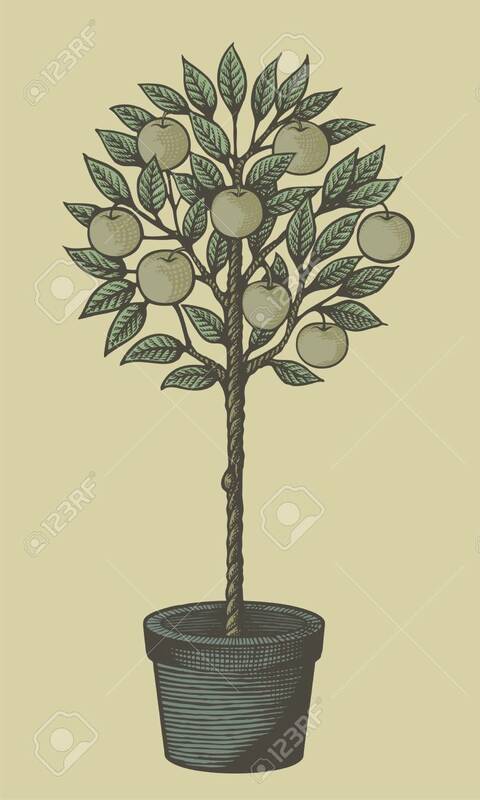 Woodcut Style Decorative Apple Tree In Plant Pot On Tan Background. Royalty Free Cliparts, Vectors, And Stock Illustration. Image 13777204. Vector - Woodcut style decorative apple tree in plant pot on tan background.